If you're considering a weekend ski break, be sure to maximise your time on the slopes by choosing the right destination. Avoid wasting valuable skiing time stuck on a transfer bus for hours, instead select a weekend ski break with easy access to and from the airport. Public transport: TER regional train services to Chamonix station from Geneva Airport (3hrs15) with one change at Martigny Vallorcine. Alternatively, SAT Mont Blanc buses run regularly (1hr45). Road: Accessible directly via the Autoroute Blanche (A40), which connects to the European motorway network. 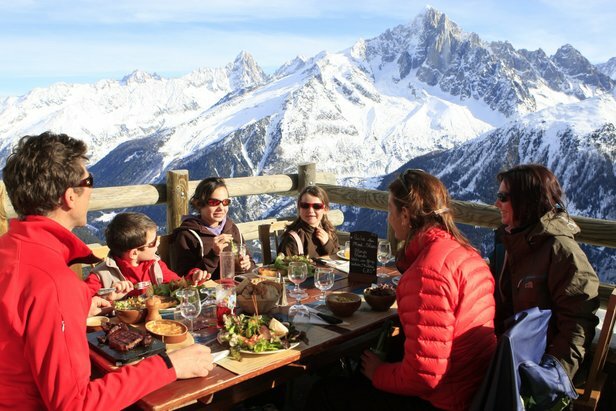 Chamonix is a 60-minute drive via hire car or private shuttle bus. Chamonix (1,040m) is the place to go for alpine thrill seekers wanting to push themselves to the extreme. This weekend ski break is known the world over for its steep, challenging runs, off-piste powder and dramatic mountain scenery. Chamonix hosted the first-ever Winter Olympics in 1924 and is considered by many to be the birthplace of alpine skiing. The resort is a large, yet attractive town offering both traditional charm and a lively nightlife. 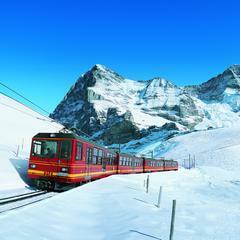 Public transport: Direct TGV train to Sallanches (12km from Megeve) during weekends in winter. Bus services transfer from Sallanches to Megeve. Road: Accessible directly via the Autoroute Blanche (A40), which connects to the European motorway network. 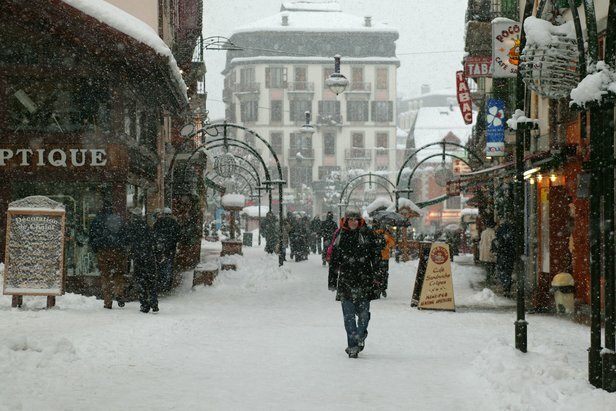 Megeve (1,050m) is a fairly low village with skiing up to 2,353m, so snow conditions can be variable. Terrain is suitable for all levels: from long, quiet green runs to plenty of off-piste terrain which stays untracked for days (although not on the scale of Chamonix). 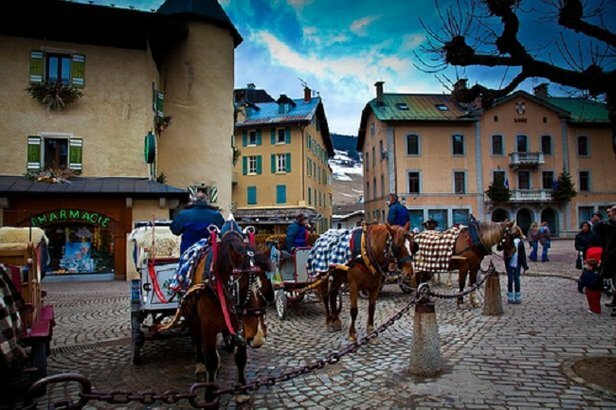 Megeve is very much a traditional Haute-Savoie village surrounded by working farms. This idyllic weekend ski break has more than 90 restaurants (eight with Michelin stars) and the Place d'Eglise is lined with upmarket shops, cafes and patisseries. Public transport: Regular OBB trains run direct between Innsbruck and St. Anton am Arlberg Railway Station (approximately 60 minutes). Road: From Innsbruck, head towards Landeck - to St. Anton am Arlberg. The cosy town of St. Anton am Arlberg (1,300m) retains its traditional Tirolean atmopshere. The large ski area means you never need ski the same run twice: 260km runs/83 lifts. Some of the most challenging slopes are Glazig, Gampen, Schindler Kar and Kapall. 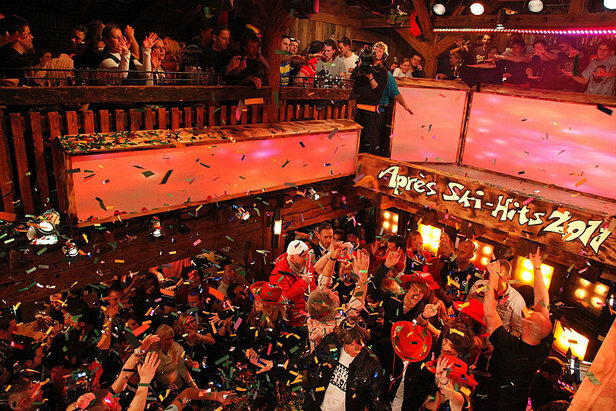 St. Anton is an ideal weekend ski break for those craving lively apres-ski; head to the Krazy Kangaruh and Mooserwirt bars, both located directly on the slopes, where you can go to stomp on tables in your ski boots, drink obligatory shots of Jagermeister and listen to German cover bands. Public transport: From Innsbruck Airport, take an airport bus to the central railway station (every 15 mins) and then an OBB train to Jenbach, 20km from Mayrhofen. From Jenbach, the Zillertal Narrow Gauge Railway runs up the Ziller Valley to Mayrhofen. There are also buses to Mayrhofen. Both transport options take an hour, making Mayrhofen a convenient weekend ski break. Road: Take the Inntalautobahn motorway until the exit for Zillertal, from there take the B169 Zillertal Road for the next 30km to Mayrhofen. Mayrhofen (630m) is a pretty town, popular for its expansive terrain and lively atmospshere. 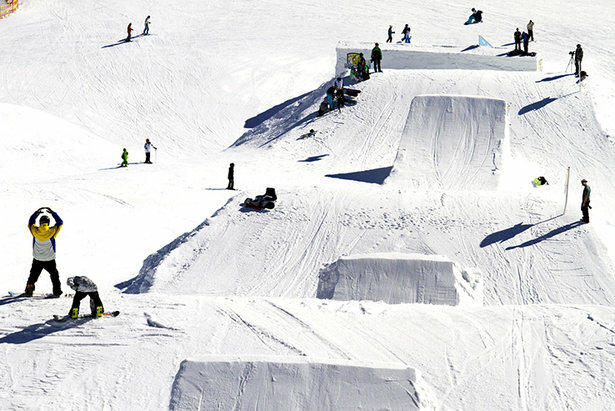 The 157km of terrain offers plenty of skiing for all levels, as well as excellent untracked off-piste and one of the best snowparks in the Alps: the Vans Penken Park. Advanced skiers can invest in a Zillertal Superski Pass to access a further 500km of terrain. The resort draws hundreds of young party-goers in April for the annual Snowbombing festival. Public transport: A trolley bus runs from the airport to Salzburg main railway station every 10 minutes during the day. Several direct OBB services are available from Salzburg main railway station to Schladming daily. The route takes approximately one hour. Road: Towards Radstadt on the A10 motorway, then drive 18km along the B320 to Schladming. Schladming (745m) is part of the Ski Amade ski area (860km). 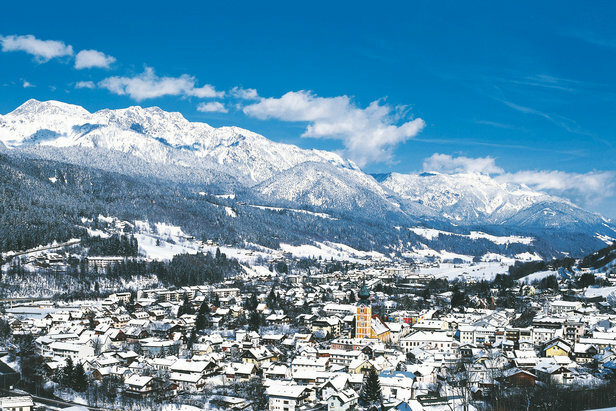 Schladming's local ski area is spread across four mountains and is ideal for intermediates looking for a weekend ski break. The traffic-free village centre offers plenty of modern facilities. Public transport: From Geneva Airport, SBB trains run to Villars-Gryon: via Aigle (120 mins by bus), via Bex (140mins by train). See TPC for connections between Aigle/Bex to Villars. Road: Highway A9, exit Aigle (20 mins from highway). 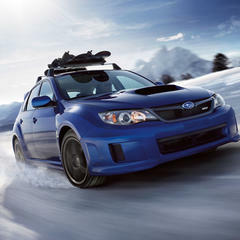 Driving from the airport is the fastest way of getting to this weekend ski break (60 mins). 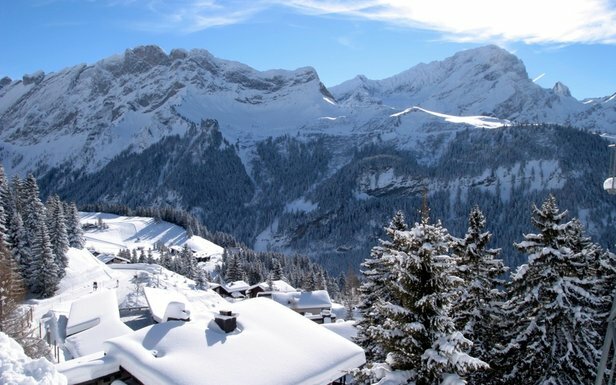 Villars (1,300m) is a traditional village, both popular with families for its gentle, tree-lined runs and with experts for its steep powder-packed off piste and high-altitude glacier runs on the Diablerets. Public transport: The nearest rail station is Pitlochry, 32 miles away. There is no winter bus service to Glenshee. Road: Most visitors arrive by car. Glenshee is situated nine miles south of Braemar and 24 miles north of Blairgowrie on the A93 road. 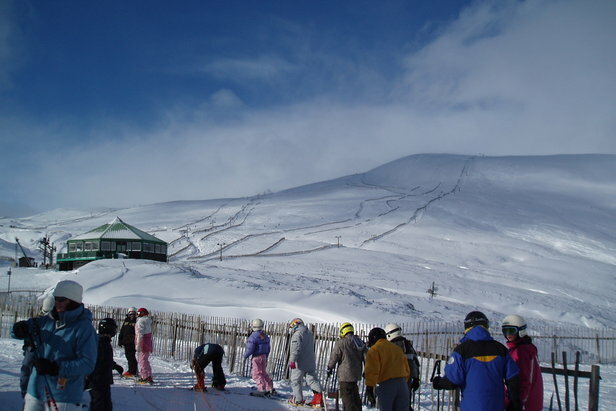 Glenshee has the largest ski lift system in the UK (36 runs/21 lifts). The terrain extends across four mountains and three valleys. 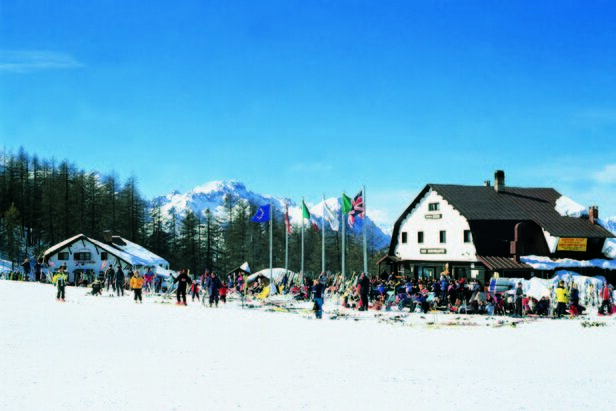 At the base of the ski centre you'll find a cafe, ski hire shop and ski school. This weekend ski break is located close to Braemar and the Queen's summer residence of Balmoral. It is popular day trip for people living in Aberdeen and Edinburgh. The lift line at Glenshee, Scotland. Air: Turin Caselle Airport 90km/90mins. Public transport: Buses run from the airport terminal to the main train station in Turin (Porta Nuova). Tickets for this can be bought from a machine in the arrivals hall and cost around €5. From Porta Nuova you can catch a Trenitalia train to Oulx (1hr). Tickets will be around €15.00. Once at Oulx train station there is a regular bus service to Sauze d'Oulx, cost €5. 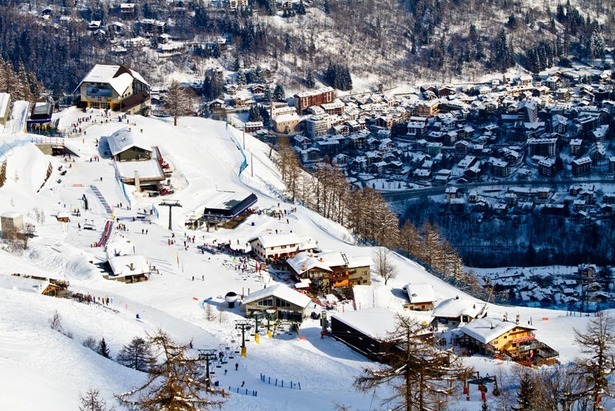 Sauze d'Oulx (1,500m) is an attractive, lively village best suited to intermediates and young party-goers. This weekend ski break offers more than enough terrain to occupy all ski levels, being part of the 400-kilometre Milky Way ski area which straddles Italy and France. 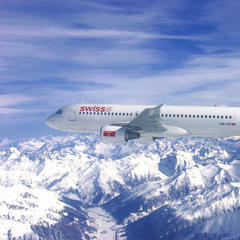 Air: Geneva Airport 100km/90mins; Turin Caselle Airport 150km/100mins. Public transport: Take the SBB train from Turin or Geneva to Aosta, then a bus to Courmayeur. Road: Courmayeur lies just beyond Chamonix in France. It can be easily reached through the Mont Blanc tunnel or by the Grand St. Bernard way above Martigny in Switzerland. The Val D'Aosta tunnel makes it very easy to reach the resort from Aosta or Turin. Courmayeur (1,224m) is a charming, traffic-free spa town of cobbled streets and pretty buildings. The central Via Roma is lined with bars and upmarket clothes shops. The ski area, although not that high, benefits from good snow cover due to the north or north-west facing slopes. This weekend ski break is best suited to competent skiers, with good off-piste and access to the famous Vallée Blanche. Looking down at Courmayeur, Italy from the slopes. Rail: High-speed SNCF trains run to Cluses or Thonon les Bains, 30km from this weekend ski break. From there, regular bus transfers are available. From the train station, regular bus transfers are available. 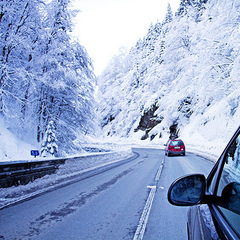 Road: Autoroute Blanche motorway (A40), take the Bonneville or Cluses/Scionzier exit (number 18, 30km from Morzine). Morzine (1,000m) is a traditional Savoyard village set in the heart of the Portes du Soleil ski area, combining 12 resorts and 650 kilometres of ski runs, which cross over to the Swiss side of the Alps.